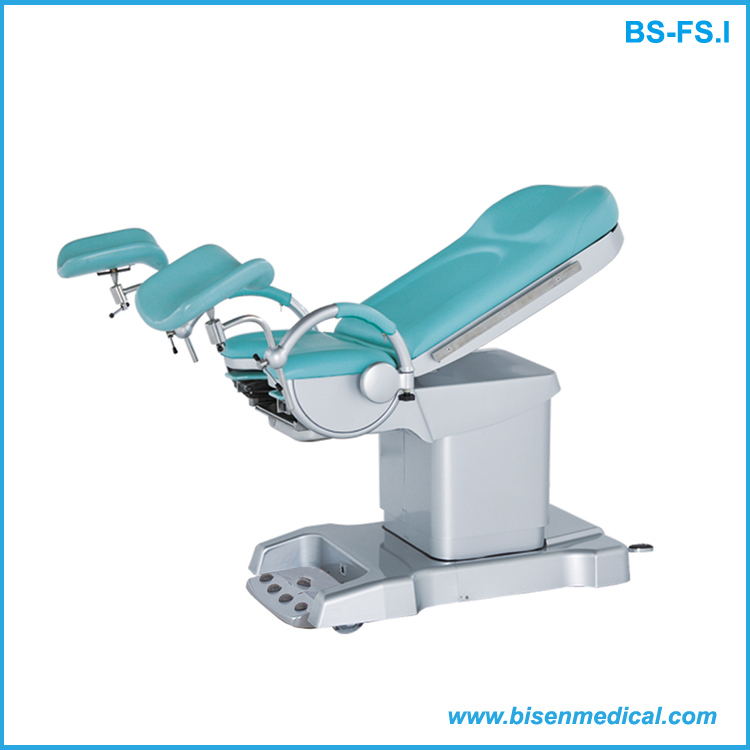 BS-FS series gynecological table is suitable for conducting gynecological surgery, operative abortion and gynecological examination, by medical unit. -Various actions are controlled by Imported brand motor. -Hand-held controller and foot controller, mutually independent and is easily for operation. 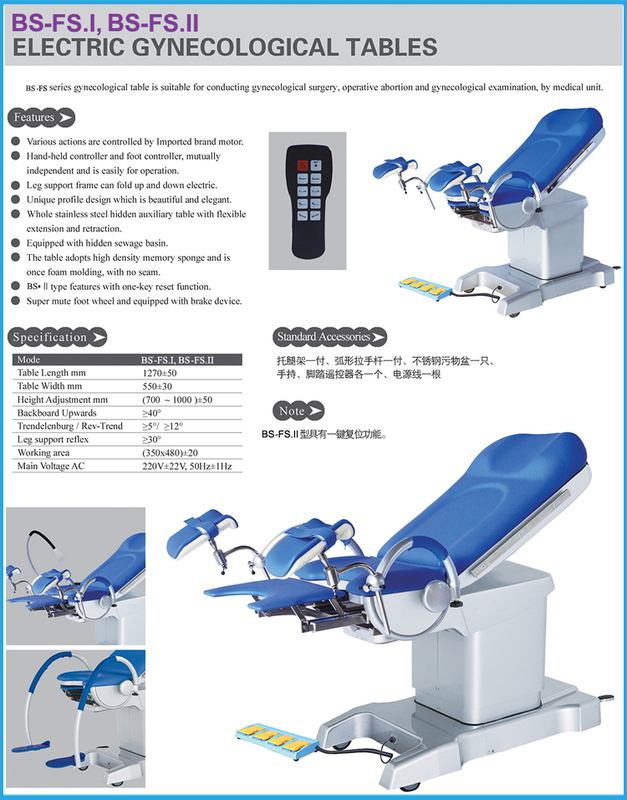 -Leg support frame can fold up and down electric. -Whole stainless steel hidden auxiliary table with flexible extension and retraction. -Equipped with hidden sewage basin. -The table adopts high density memory sponge and is once foam molding, with no seam. -Super mute foot wheel and equipped with brake device.